When people are looking for a new job, or even a career change, perhaps the most important thing they can do is ensure their resume is going to help them stand out from the crowd. A typical job today will usually receive dozens or even hundreds of applicants, even in today's low-unemployment job market, so if workers' resumes don't help them put the best foot forward, they're probably not going to get much attention. 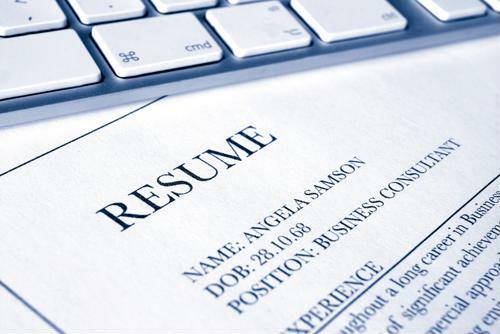 With that in mind, here are just a few tips to improve a resume quickly and easily. While some people may not think the way a resume looks is less important than what's on it, that's often not the case, according to the American Society of Mechanical Engineers. If a hiring manager is examining dozens of similar-looking resumes, one that has something to help it stand out can be a great idea. That can mean selective use of bold and italicized fonts, an attractive header complete with a graphic related to the job, or summary columns along the side of the main body that provides the highlights contained within. Of course, it's also possible to go overboard. If a resume is using a bunch of different colors, fonts, graphics and so on, hiring managers might be a bit turned off. Another thing that will usually catch a hiring manager's eye is something that puts some real numbers behind the ideas the resume conveys , the ASME noted. For instance, simply a resume that says someone was an important member of a successful sales team isn't as engaging as saying they were an important member of a sales team that boosted revenues by 15 percent over five years. Here, too, breaking numbers out from the body of the text to say something like, "7 years of managerial experience" in a different font or typeface than the rest of the resume can be a good idea. In some ways, job seekers have to think how hiring managers do, and one thing they therefore need to remember is that the people reviewing their resumes aren't likely to read every single word, according to The Muse. With that in mind, it's important to at least summarize the most important aspects of a person's qualifications at the top of the page, or otherwise prioritize the critical details of their work history as it pertains to the job at hand. Generally speaking, that means it's wise for people to review and rearrange their resumes every time they apply for a different job, because the things that might be important for one might not be critical to another. In a lot of cases, bigger companies review resumes in very different ways from smaller companies, according to TIME. If a business is big enough, it's likely that it has an automated resume scanner that filters out a huge percentage of all documents it receives. As such, making sure to be able to "beat the bot" - by including important keywords from the job listing and having a clean format - is critical.